@Visual_ArtsAS OR "Portraiture Now: Staging the Self"
Curated by Taína Caragol, Rebecca Kasemeyer, Dorothy Moss, and David C. Ward. 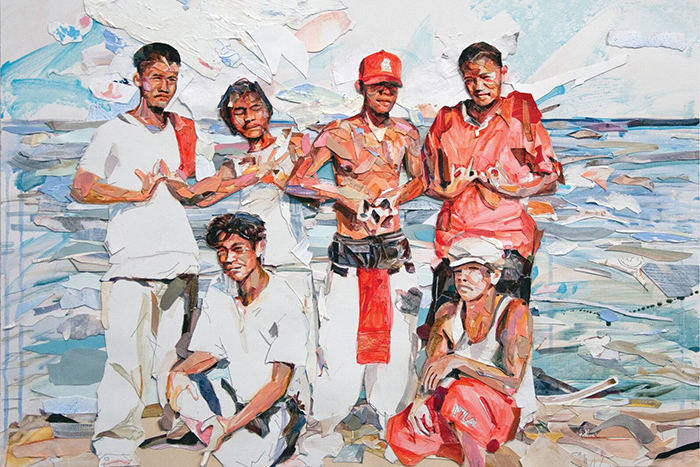 The National Portrait Gallery presents at the Americas Society Portraiture Now: Staging the Self, one in a series of exhibitions that showcase some of the most creative twenty-first-century portrait artists. Portraiture Now: Staging the Self features the work of six contemporary U.S. Latino artists—David Antonio Cruz, Carlee Fernandez, María Martínez-Cañas, Rachelle Mozman, Karen Miranda Rivadeneira, and Michael Vasquez—who present identities theatrically, in order to rid portraiture of its reassuring tradition that fixes a person in space and time. Through their works these artists address personal or family issues, telling stories that they remember or imagine from their past, manipulating images of themselves, or superimposing portraits of their loved ones on their own. Like actors searching for a character, they explore the boundaries of individuality. In the process, portraiture loses its aura of certainty and instead becomes an evolving map for finding oneself and others. 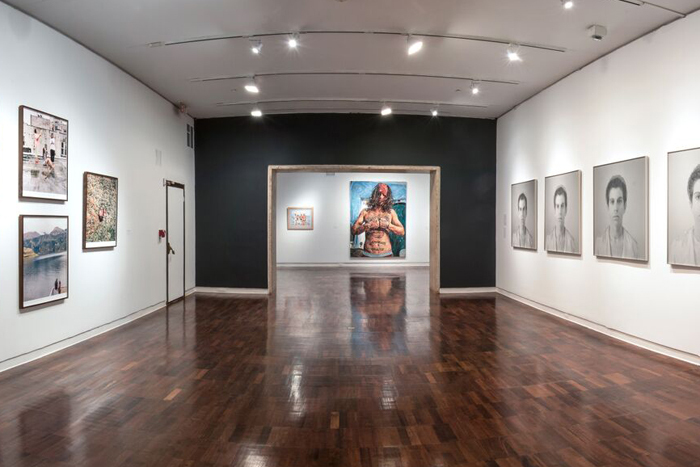 Exhibition "Portraiture Now: Staging the Self" at Americas Society. 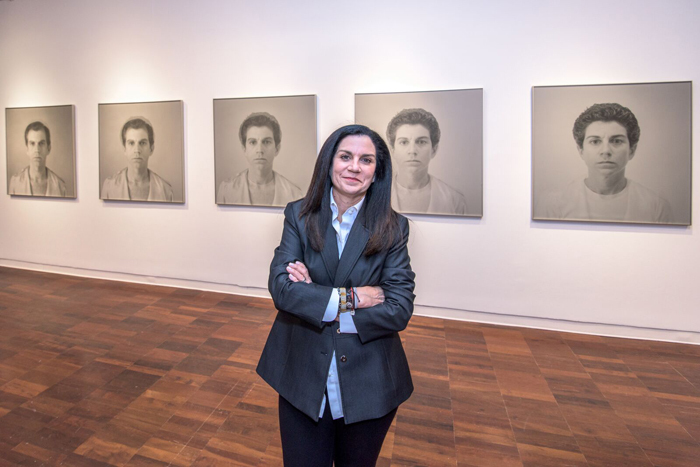 Artist María Martínez-Cañas standing in front of her piece, "Duplicity as Identity." Exhibition at Americas Society featuring U.S. Latino artists. Artist Rachelle Mozman standing next to her artwork. 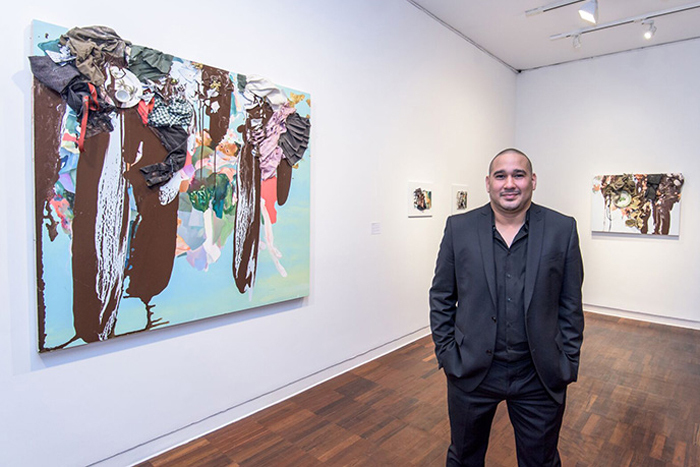 Artist David Antonio Cruz standing with his artwork. Artist Michael Vasquez standing with his artwork. "The Strand that Holds Us Together" by Carlee Fernandez in Americas Society. 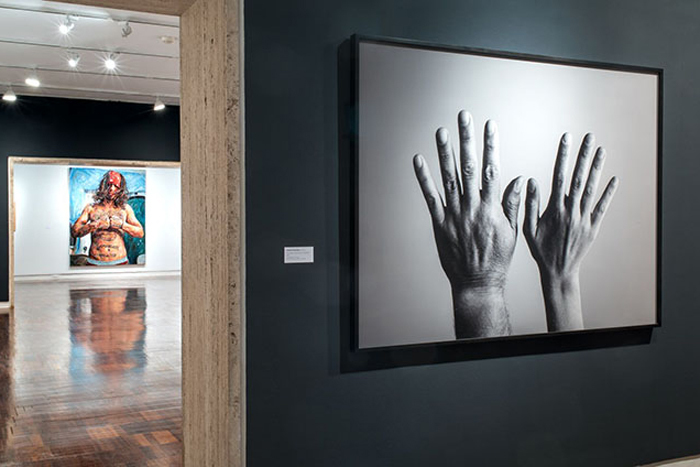 The new exhibition on twenty-first century portraits is open June 10 to October 18. 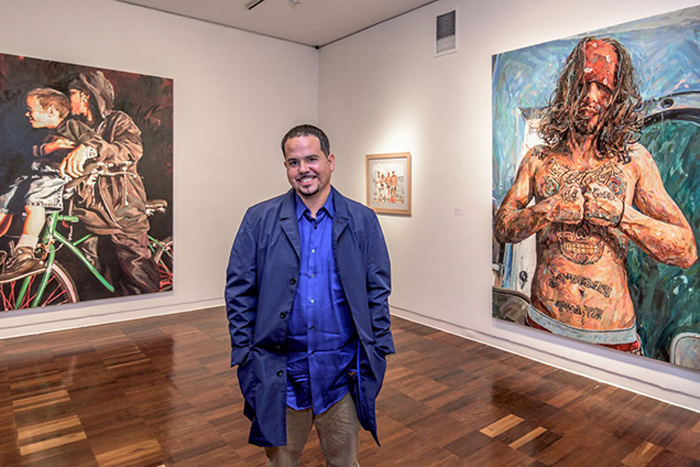 The exhibition Portraiture Now: Staging the Self has been organized by the Smithsonian’s National Portrait Gallery, in collaboration with the Smithsonian Latino Center. 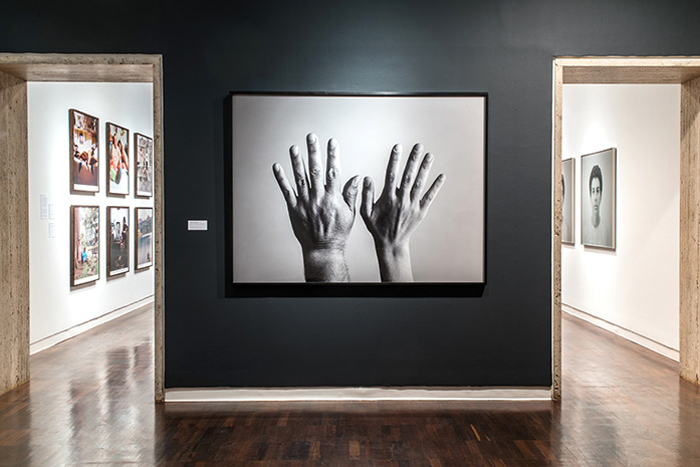 The presentation of the exhibition at Americas Society is made possible by the generous support of Jaime and Raquel Gilinski, Genomma Lab Internacional, and, in part, by public funds from the New York City Department of Cultural Affairs, in partnership with the City Council. Six contemporary artists challenge notions of identity in the current Americas Society exhibition.